It was common knowledge, Rowley said, that locals subscribed to some of the doctrines of ISIS and some had travelled to areas of combat in Iraq and Syria. “Many of them have been intercepted in Turkey and in Britain. Some have been returned to TT. Some are in custody in foreign countries,” he said. As ISIS has been dispersed in Iraq and Syria, he said, “that doctrine has now spread to home-bound activities.” On the threat during Carnival, Rowley said it was, “a threat to take action against the Carnival parades by persons of interest to the security services of TT.” While suspects were held and later released, he said that was a matter for law enforcement and one he would not venture into. “However, to say the fact that they have been released or the fact that nothing has happened is proof that nothing could have happened, is pure folly.” As chairman of the National Security Council, Rowley said, he saw on a daily, weekly and monthly basis, existential threats to the people and continued to be concerned. On the number of people who might be security threats, Rowley said, “I don’t know if the figure is 63 or 100, but we are taking steps to ensure all persons who are so described, are adequately monitored. He said the threat was “a very amorphous one,” changing its shape, size and location and Government, through its agencies, had been improving its response through international contacts, reports, training, improving technical capabilities and placing people strategically outside the country. Rowley said he did not know that any country could say it had the ability to effectively monitor communication between local and international terrorist groups because communication was varied and technical. “In fact there is an area called ‘the dark web’ where it is said that criminals and terrorists are better able to handle it than states.”. He said people trying to become effective terrorists were not only relying on the internet, but on face-to-face communication between family members and other, non-telephonic systems. Asked if the US Southern Command or the Federal Bureau of Investigation (FBI) were involved in the surveillance, intelligence-gathering and detention of potential terrorists in TT, as reported by CNN, Rowley said he had not watched CNN in a while. 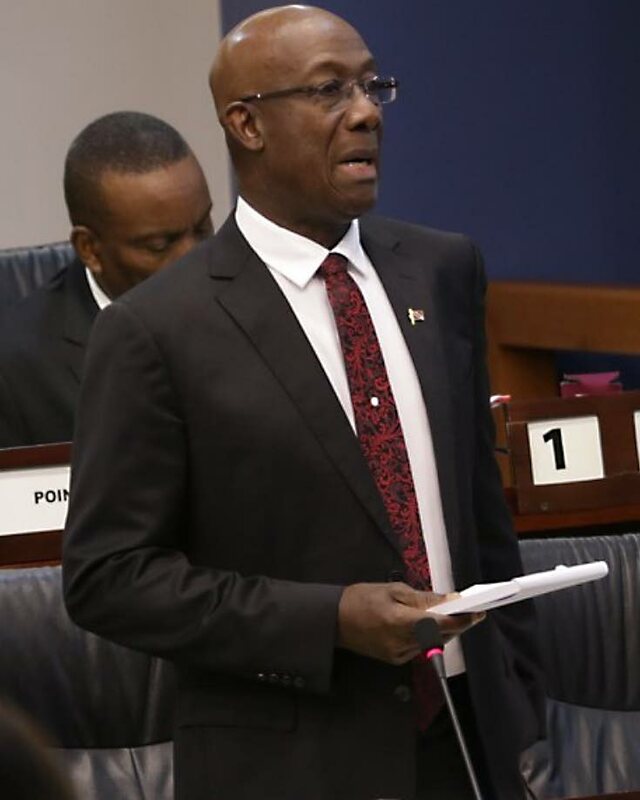 Answering a question repeatedly, Rowley said, “For the nth time, the interrogation and picking up of people in (TT) has been done 100 per cent by the state agencies of Trinidad and Tobago.” On what Government was doing to combat terrorism, he said last September Cabinet approved a counter-terrorism strategy, which is being implemented. Meanwhile Attorney General Faris Al-Rawi responded to a question from the media yesterday at the lobby of the Parliament building on threats of lawsuits from people who were detained regarding the recent terror threat. He said local law enforcement agencies were well within their rights to take action as they saw fit to detain people, to release people and to charge people, all of which had happened. He said the Office of the Attorney General would defend the claims and whether there was reasonable suspicion in detaining someone was an easy matter for the court. He also reported on the anti-terrorism legislation noting they had their first joint select committee meeting yesterday and it would be calling for public commentary by March 5. He hoped the legislation would be passed in this parliamentary session. Reply to "ISIS IN TT"